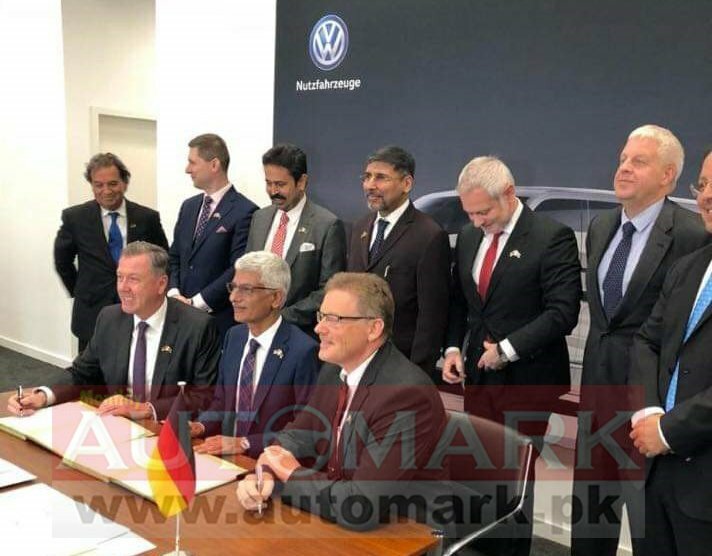 Pakistan Premier Motors Ltd (PML) signed the final legal agreement with the German auto giant – Volkswagen (VW) AG, the largest automotive group in the world. The agreement was signed on 7 November 2018 for manufacturing and assembling of commercial vehicles under the licensing contract of CKD Assembly in Karachi. The automotive industry is considering it a major breakthrough in the automotive sector of Pakistan. The Commercial Section, Berlin has been actively engaged with the VW and PML for the last two years and especially since signing of Letter of Intent ( LOI) on 22 June 2017. Automark is the first source to break the news and it is hoping that the new entrant would be warmly welcomed in the country because the current local auto manufacturers are working at full capacity and still not keeping up with the demand and supply, with VW’s advent the demand and supply of the vehicle would undoubtedly increase in the country. 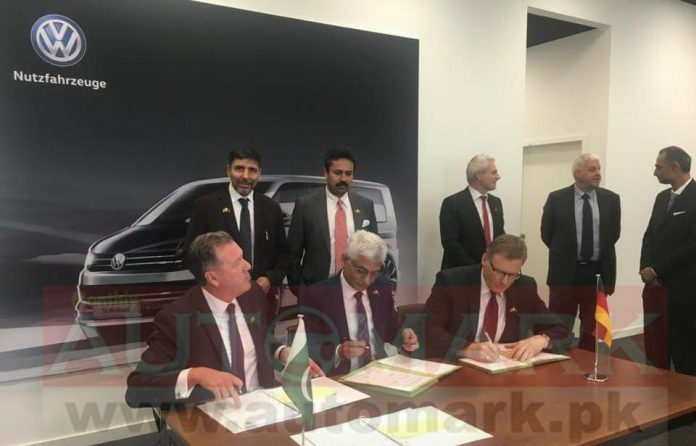 The news is very refreshing for the people of Pakistan because as new automakers come in the country, the more diverse the local industry would become and people can have a variety of vehicles to choose from. Premier Systems (Pvt.) Ltd. gears towards bringing an even better experience to Pakistan to enable consumers in the country to enjoy a new level of performance and luxury. Hence, Audi was introduced in Pakistan and Premier Motors is the legal distributor of it. With the entrance of Audi in Pakistan, consumers now had access to sporty, sophisticated and progressive premium vehicles.